Providing you the best range of corporate gifts and oil filled radiator heater with fan, thermostat & auto cut with effective & timely delivery. 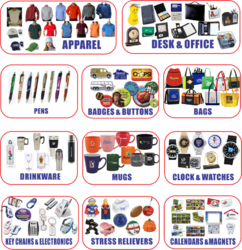 General Aux leading manufacturer of Corporate gifts & Promotional Gifts based in New Delhi.Our major cleints are based in Noida, Gurgaon, Delhi, NCR & India. Our products include office and desk items, Bags, Wall clocks, Table Clocks, Pendrives, Leather products, Backpacks, Trophies, Awards, Mementoes, Pens, Keychains, Medals, Coffee Mugs, Diaries & Calendars, Tshirts, CCtv Cameras, Smart Watches, Hoverboards, Induction Cooker, Halogen , Dry iron , steam iron , jmg, sandwich / roti maker , kettle , oven , otg, Gift Sets and accessories. 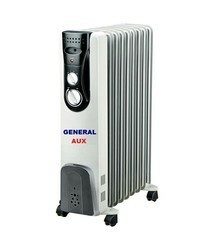 Looking for Fan Heater ?